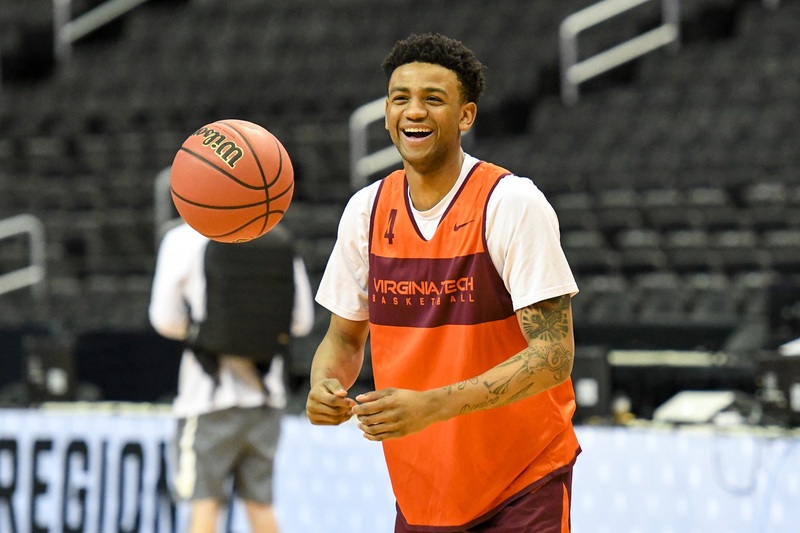 Virginia Tech sophomore guard Nickeil Alexander-Walker announced on Sunday night that he will hire an agent and enter the 2019 NBA Draft. Alexander-Walker was Virginia Tech’s leading scorer this past season, averaging 16.2 points per game. He shot 47.4% from the field and 37.4% from three-point range. He was the highest-rated recruit of the Buzz Williams tenure. The consensus mock draft on NBADraft.net, which combined the projections of 117 mock drafts, has Alexander-Walker going 14th overall in the first round. Alexander-Walker’s departure means that four of Tech’s top five scorers from the 2018-19 season are now gone. As of now, Kerry Blackshear is the only one of those top five scorers set to return. He has already graduated, and could transfer without sitting out a year, per NCAA rules. Yep….that about sums it up for me. I hate that our Hokie chicks seem to always try to hatch too early. Very seldom has it ended well. How did this become about KB2. Good luck NAW! In your 2 years here you proved to be a great team player. You will be missed and not only for your b-ball skills. Thanks for the memories NAW. I wish much success. You always conducted yourself in a way that made all Hokie Nation proud. Blackshear has a chance to become, “The Man” next year at VT. Nothing like enhancing your chances of playing professionally than becoming, “The Man”. NAW…….THANK YOU for being a great Hokie! Hokie Nation wishes you the best for your future. KBJ has a 5% chance of returning. No one could blame KBJ for deciding to begin the next phase of his life. I don’t know what he will decide to do, but I wish him the very best and I will think highly of him either way. Yes, he could be THE MAN, but he already is A MAN and he probably wants to get on with his adult life. NAW, I will miss your smooth moves. Best of luck and thank you for being a Hokie. Hope and pray you are mistaken. The team really needs the leadership that only he can provide. I will certainly understand if he doesn’t stay, but if he leaves I will be sorely disappointed. Mike Young’s first test will be getting Blackshear to stay and Bede to come back. Probably fail the first and succeed on second. A little more genuine goodbye. Thanks NAW, you were fun to watch. God Bless you Nickeil…you are a young man of integrity and you are a leader! Please come back to Blacksburg as frequently as you can. I think we can stick a fork in Blackshear, he’s done. No way he’s coming back. Either he will try his hand in the NBA, or play overseas for money. As I would if I had his talent and opportunities. I COULD also envision him going to some team that has a good returning core, but needs a big man, Buzz or not. Blackshear is not in any of the predicted NBA draft selection lists. He only broke through this during the middle part of this season as a possible pro prospect overseas. Guess we’ll see which one of the 3 options he has (stay at VT, transfer pool or possible overseas). Young’s first task after he signs is to sell the current players, we’ll see how that goes. Will be difficult on Blackshear as there are no restrictions and I cannot see him staying at VT with a probable losing team like Buzz’s 1st year here.